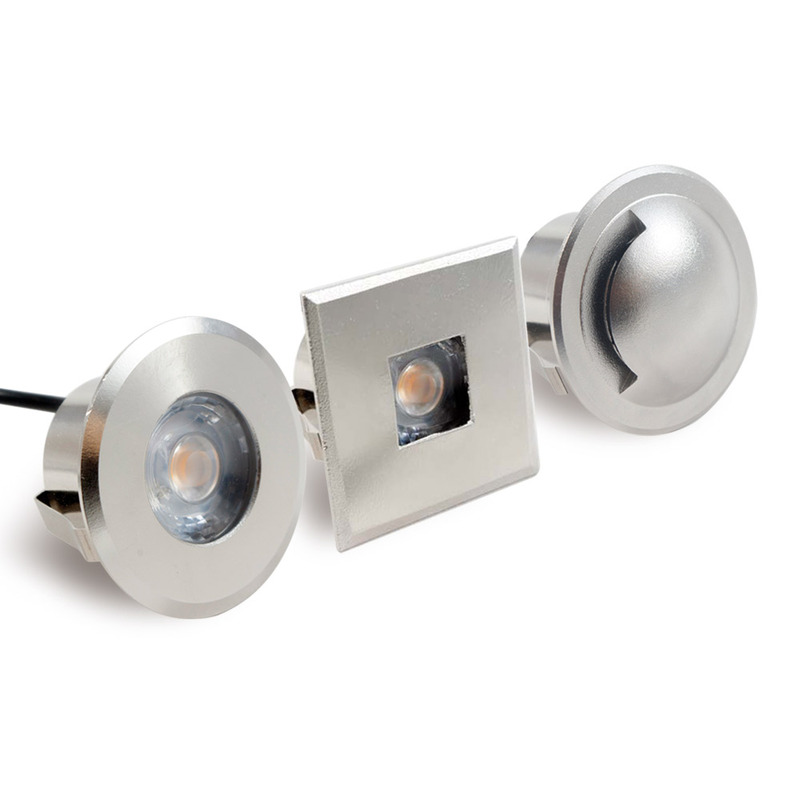 This LED Inground Light fits in a 1.5" recess hole. Stainless Steel Housing. 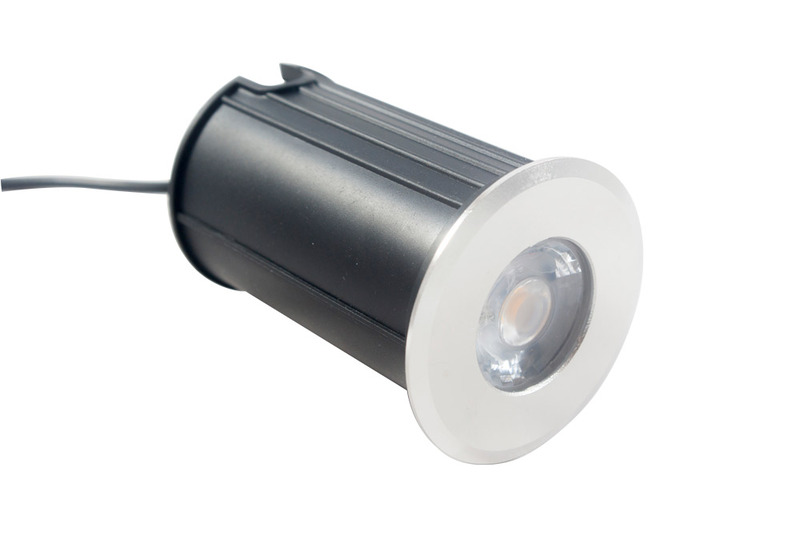 3W Power LED. In-Ground LED Light, our newest in-ground super bright LED light draws 3W of power, has 275 lumens in warm white 3000K light or cool white 5000K light. You can direct the light to project upwards or within a 45 degree angle for directing the light at desired landscape features. This fixture include a cETLus listed. Available in Warm White 3000K or Cool White 5000K. Spring clips to allow simple pressure fit installation. Includes inground housing. Can be mounted using a 1.5" PVC coupler. Dimmable using our outdoor rated low voltage dimmable LED drivers. See our accessories page for our dimming and non dimming outdoor rated LED power Supplies. Note: All trims are stocked in Matte Chrome.